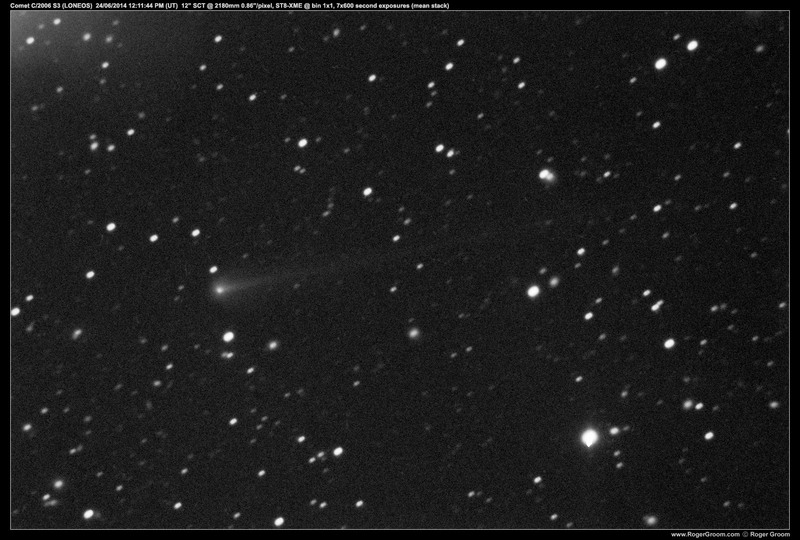 This page contains photographs of the comet C/2006 S3 (LONEOS). 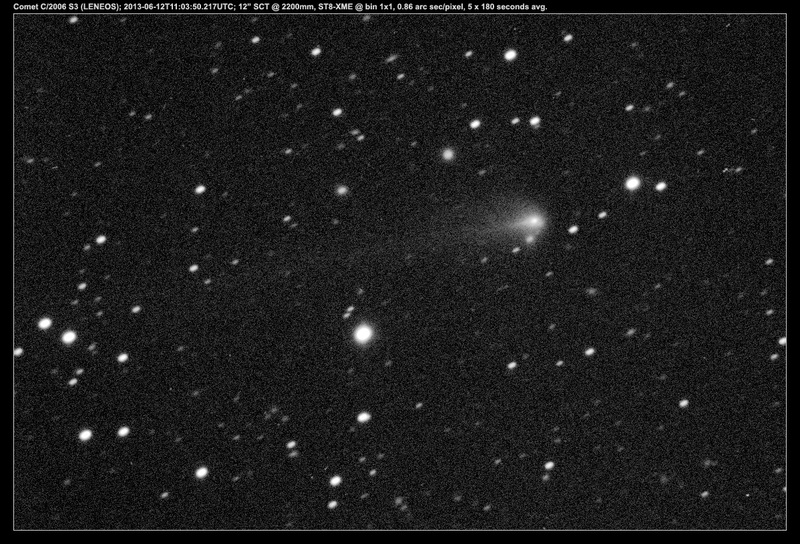 Comet C/2006 S3 (LONEOS). Taken using ST8-XME bin 1×1 on 12″ SCT @ 2180mm focal length resulting in 0.86″/pixel scale. 7 x 600 second exposures, combined using mean (average) stack. Comet C/2006 S3 (LONEOS); 2013-06-12T11:03:50.217UTC; 12” SCT @ 2200mm, ST8-XME @ bin 1×1, 0.86 arc sec/pixel, 5 x 180 seconds averaged. This image is obviously pushed to the limits regarding levels, as evident by the noise, but it is interesting how much of a magnificent tail this comet has and the perfect shape of the comet head area.